Our Lady of Grace swimming team made the school proud once more! Year 5 and 6 children competed against other Greenwich Primary Schools on Friday 29th June at the annual swimming gala. They may have been small in numbers but they were full of energy and support for each other. The brought back 3 bronze and 1 silver medal which put Our Lady of Grace 3rd in the Small Schools Category. On Monday 25th June Year 4 took part in the annual Sportathon at Sutcliffe Park. The day was hot, reaching temperatures of 29ºc. 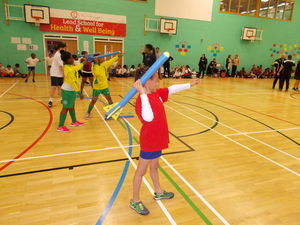 The children had the opportunity to take part in a range of sports: golf, hockey, ball skills, athletics and dance. They scored points for Our Lady of Grace throughout the day by shooting balls into nets, putting golf balls onto Velcro targets, distances recorded of javelin throws and long jumps. The children tried their best and showed perseverance in the sweltering heat. After lunch the children showed off their dance moves by learning a dance inspired by sports – the children were great and had lots of fun. The final activity was the wheel chair race. The children showed great team spirit in cheering each other along. We had no idea how many points we had scored by the end of day – but during the final presentation was awarded with second place. Well done Year 4 your team work payed off! The day started with two group games against St Patricks and St Peters. The boys showed great skill and determination in winning both games. OLOG got to the semi-final as group winners and had to play St Thomas-a-Becket. The game went to a penalty shoot out that we won giving us a fantastic match with St Mary's in the final. 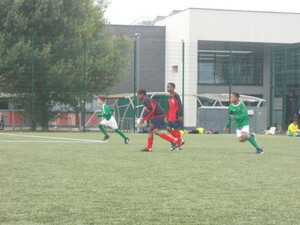 Both teams performed at a high standard and ended with a penalty shoot out again. St Mary's won with the last penalty. OLOG boys once again showed how good they are - well done boys! 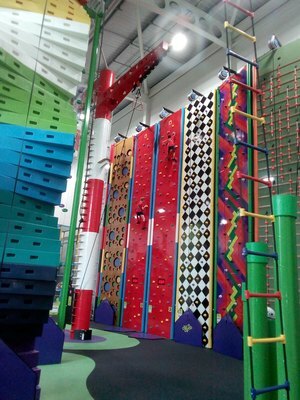 6 children from Year 4 were invited to take part in a Clip & Climb session as Sutcliffe Park. 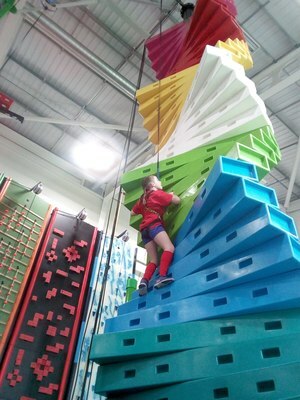 There were 23 challenges/stations including a Speed Climb Wall and the quickest times recorded will gain points towards the main Sportathon event in June. The children were fantastic and really enjoyed all the challenges they tried. Well done! 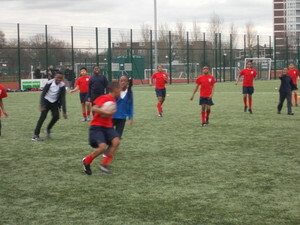 On Tuesday 6th March, Our Lady of Grace joined other Greenwich schools in the annual Touch Rugby mixed team tournament. 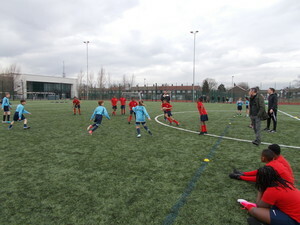 Year 6 played with both determination and strength and the girls and boys had lots of fun. They deservedly came back with a fantastic 2nd place. Well done team! Year 5&6 Sportshall Athletics Final! 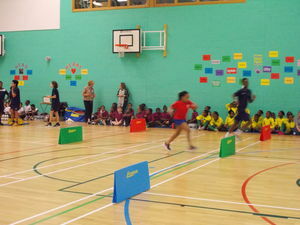 Thank you to all the children who took part in the Athletics final at St Paul's Academy. What a great performance, with some outstanding events taking place like the boys and girls standing long jump and triple jump. The children competed against three other schools who reached the final and OLOG came 2nd overall in the Greenwich Borough. A fantastic result - well done everyone! On Tuesday 28th November 2017, Our Lady of Grace along with a number of Greenwich primary schools participated in the Sportshall Athletics competition at St Paul’s Academy. The children put so much effort into their activities and it really paid off!. Joint winners with St Thomas A Becket - fanstatic news! Really well done to all the children involved. What some of the children had to say…. 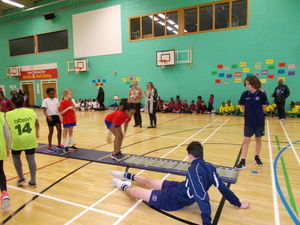 What a great time the children had in the Mixed Indoor Athletics competition at St Paul's Academy. 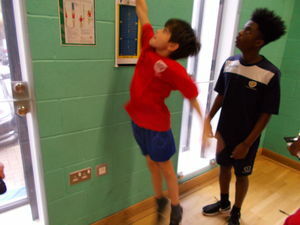 They competed against 7 others schools and really put alot of effort into the activities they took part in - Obstacle Race, Standing Jump, Vertical Jump, Speed Bounce, Javelin. 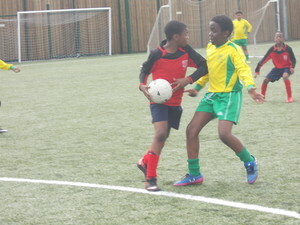 The boys from Years 5 & 6 enjoyed an afternoon of playing Football against local Primary Schools. We had some exciting games with Joshua and Noah showing fine footwork and a great display of handwork in goal from Noah. Well done boys! The girls got better as the afternoon went on with great teamwork from all - well done too!